It's Shark Week! We're celebrating by chumming up the waters, I mean snow and taking a bite out of "Avalanche Sharks". 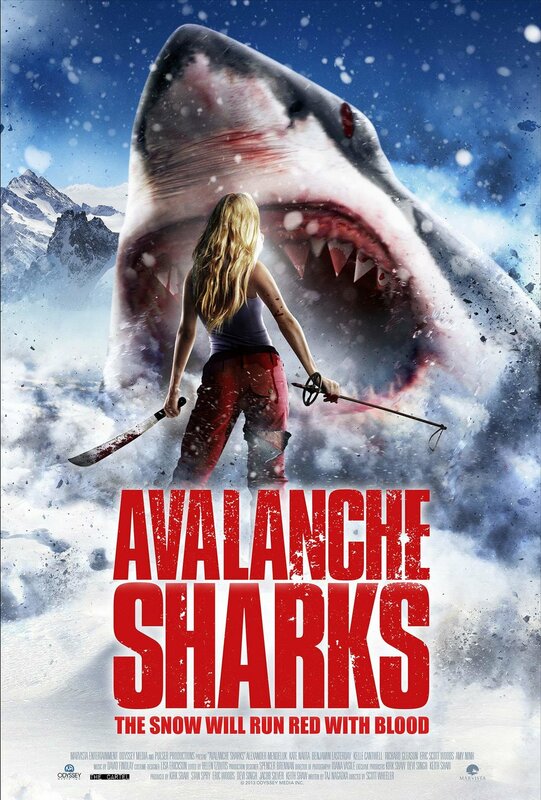 A ridiculous movie about blue glowing CGI sharks and featuring bikini clad snow bunnies, the world's worst first responders, a platoon of identical looking male characters, a rickety old Sheriff with a child bride, and not one but two Olympian characters.